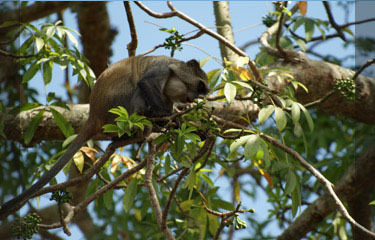 Mikindani nestles in a large, sheltered natural harbour on southern Tanzania's Swahili coast. 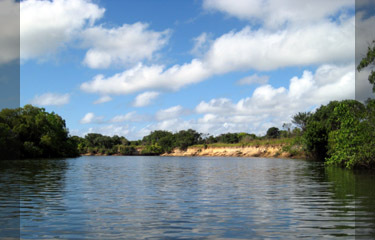 An hour's drive from the Ruvuma River and the border with Mozambique, the area is an undiscovered wilderness on land as well as beneath the waves of the Western Indian Ocean. From here, visitors to Ten Degrees South lodge, restaurant and bar can explore Mtwara region's underwater life and southern safari circuit. Mikindani Bay is renowned for some of the most unexplored diving in East AFrica, while the Mnazi Bay-Ruvuma Estuary Marine Park is just an hour's boat ride away. Inland the Lukwika-Lumesule and Msanjesi game reserves offer the possibility of big game, while the Rondo Plateau offers peace and solitude and the Makonde Plateau is an explorers paradise. 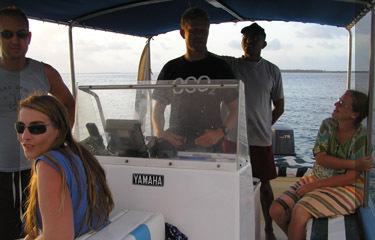 Mikindani is home to eco2 diving, marine research and education centre who provide low-impact scuba diving and dive safaris. Mikindani and Mnazi Bays are the locations for some of the most spectacular diving in Tanzania and the area is recognized as the centre of biological diversity for the East African coast. Over 258 species of coral have been identified in the area and its dives sites are home to giant grouper, Napoleonfish, turtles and seahorses. 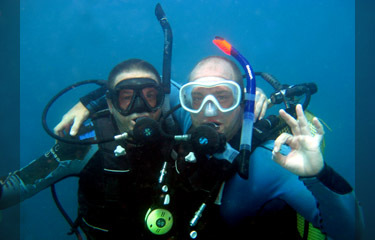 To find out more about scuba diving in the area visit www.eco2tz.com. The Mnazi Bay-Ruvuma Estuary Marine Park is just an hour away by boat or car and makes an idyllic day trip for divers, beach lovers or wildlife watchers. Established in 2000 having been identified as an area of high biodiversity value, the Marine Park covers over 650sqkm of land and sea from the southeast of Mtwara to the mouth of the Ruvuma River on the Mozambique border. 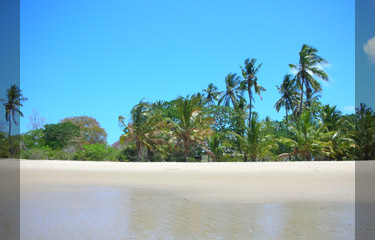 Within the Park white sandy beaches, fringed with palm trees provide a secluded retreat from everyday life, with the remains of the home of Leslie Latham Moore, the Sultan of Msimbati at Ruvula. 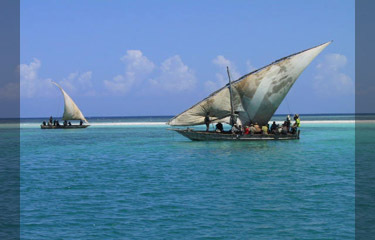 It's possible to arrange dhow trips with local fishermen to visit the small offshore islands of Namponda and Mongo or to try your hand at line-fishing. 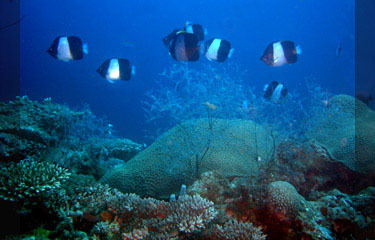 Good snorkelling is easily accessible, while offshore the spectacular diving offers shoals of pelagics, large grouper and Bumphead parrotfish. Beyond the beaches of the Marine Park, the Ruvuma River marks the border with Mozambique, where it's possible to take dhow trips to see hippos and crocodiles. 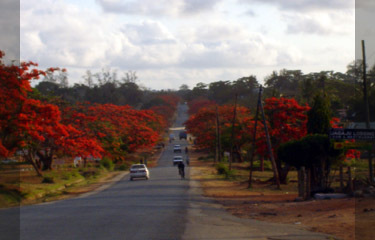 For the more adventurous traveller it's also possible to visit the Rondo or Makonde Plateaus. The Rondo Plateau extends to an altitude of 900m where the Rondo Forest Reserve supports large areas of semi-deciduous hardwood forest. Idneitified as an important biodiversity site, it hosts more than 100 endemic plant species, a variety of monkeys and small mammals and the endangered Rondo dwarf galago, a primate species first discovered in the 1990s. The Makonde Plateau is home to the famous Makonde wood carvers who traditionally used hardwoods such as Dalbegia melanoxalon, locally called Mapingo, to create masks, ornaments and cultural carvings. The wood is also called African Iron Wood and is one of the few woods that is so dense that it sinks in water. Nowadays, cavings are often made of lighter woods, and covered in "kiwi" boot polish to create the 'ebony' effect. 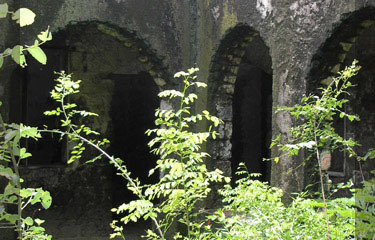 Visiting the Makonde Plateau offers no tourist facilities but is a chance to see the unspolit Tanzania. 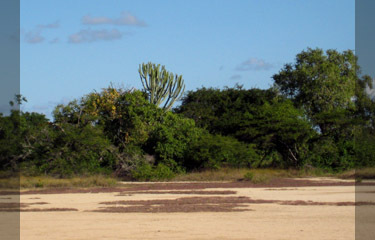 About 60km inland from Mikindani, Lukwika-Lumesule Game Reserve covers 444sqkm and is the most southerly game reserve in Tanzania and one of the least visited wilderness areas in Africa, while the Msanjesi Reserve to the north of Lukwika-Lumesule is part of the elephant corridor between Lukwika and the Selous. Between them, these reserves have permanent watercourses, meandering through pristine savannah woodland with rocky outcrops, and support populations of lions, elephants, hippo, crocodiles, buffalo, Sable antelopes and Kudu.